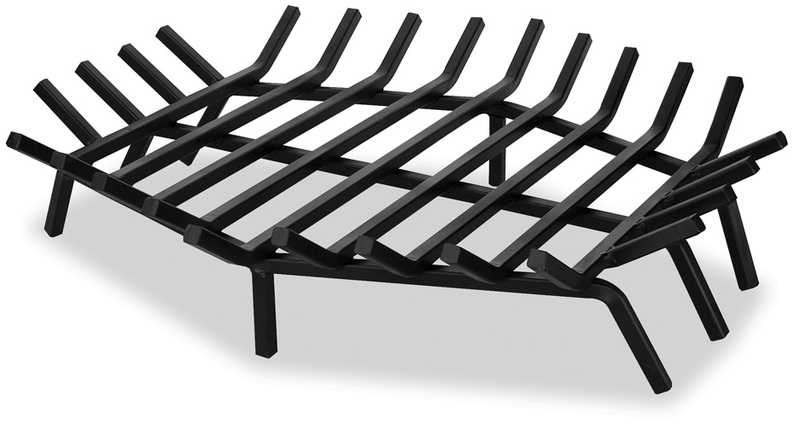 The Hex Shaped Fireplace Bar Grate gives a unique look and depth to any firepit or fireplace. Place inside your existing fireplace to give it a simple renovation. This piece comes in varying sizes to fit your fireplace, from 24'' to 36''. 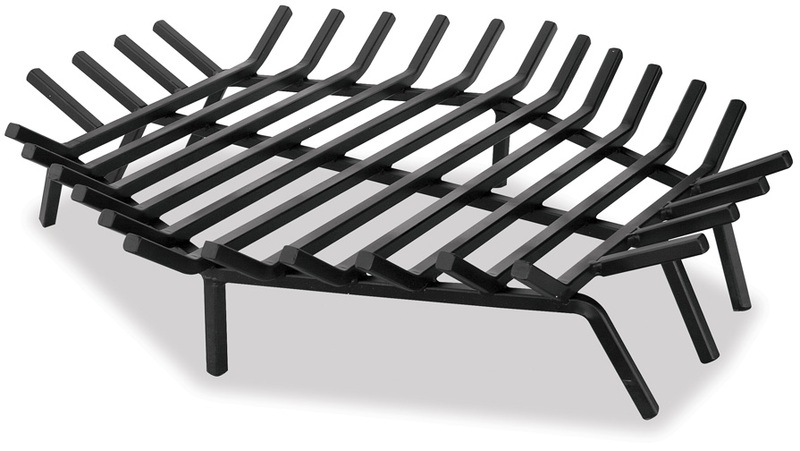 Constructed from solid iron with a black finish, this piece flawlessly blends right into any existing fireplace, or free stands on its own to create a custom firepit.